On the 31st of May, 2018, the CMI-supported Public Marathon #WhyDoWeNeedtoBeTogether? organized a public discussion titled “War, Peace and Reintegration: Political Risks in the Coming Year” in the city of Dnipro, Ukraine. Internally displaced people, veterans, civil activists and journalists gathered for the CMI-supported Public Marathon in May. It was the tenth such event held in the last year. 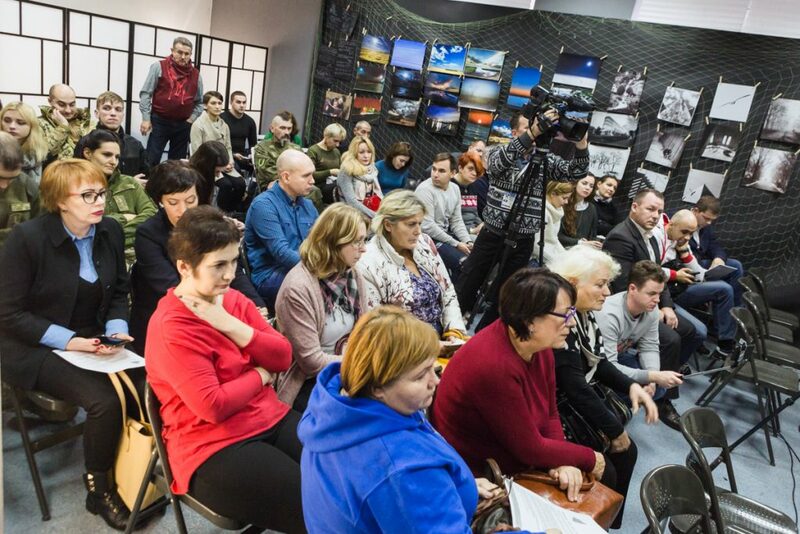 The main aim of the Public Marathon is to arrange direct communication between communities of persons displaced by war in the Donbas region of Ukraine, veterans of the military action, civil activists and journalists for sharing experiences, stories and ideas on possible ways for a secure reintegration of Ukraine. The Public Marathon was initiated by CMI’s Ukrainian partner organisations the Ukrainian Center for Independent Political Research and the Humanitarian Initiative and Innovation Platform “The Joint Coordination Center” and takes place with support of the Embassy of Switzerland in Ukraine . “The reintegration of Ukraine should be based on the ‘do no harm’ principle; therefore, it is impermissible to promote it ‘at any price’ – the result of reintegration must not only be peace but also a secure, sovereign and functional state,” says Volodymyr Lupatsiy, Executive Director at the Center for Social Studies “Sofia”. “Making peace in Donbas is important for almost 60% of Ukrainians. However, when you ask: ‘What is the way to achieve it?’, there is no clear answer,” emphasises Yulia Tyshchenko, Head of the Democratic Processes Support Program at the Ukrainian Center for Independent Political Research.